℗ (P) 1953 The copyright in this sound recording is owned by EMI Records Ltd. Digital remastering (P) 1997 by EMI Records Ltd.
© (C) 1997 by EMI Records Ltd. I Puritani (1997 Remastered Version), Act II: Riccardo! Riccardo! 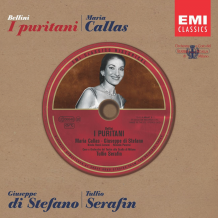 I Puritani (1997 Remastered Version), Act III: Finì! Me lassa!